Every few months, an issue of the Northwestern Alumni magazine arrives in my mailbox. Some issues I scrutinize more than others, but I always try to look through it at least a little bit. I appreciate all of the effort that goes into putting it together, after all. Specifically, I check to see the notices about marriages, births (both of which are rare for my class anymore) and death notices. Typically it’s a professor that I had in one of my classes, but I always check for the general student listings, too. I’d hate to see anyone I knew very well listed there, and so far I haven’t. But today’s issue did have someone from my class listed, and this caught my attention. This was someone who left her home at the same time I did, who walked the campus when I did, who got her degree the same day that I did, and now, as of last September 10, she is no longer with us on this earth. I didn’t recognize the name, but I felt compelled to find out more about her. I went to the Freshman Facebook (and yes, we did call it that) that Northwestern compiled for all of its incoming freshmen. In these days of social media, I’m sure that it’s no longer necessary to do this, but I hope the school still makes an effort of some type. All of those scared and anxious 18 year-olds–who are going to have their lives changed over the course of their years on campus–need something to get the ball rolling in the way of introductions. I got out my old facebook, looked up my recently deceased classmate, and realized that I had never met her at all. Perhaps we were in a class together at some point, or our paths had crossed in some other way, but I had no idea who she was. I learned that she was from Vermont, though, and this intrigued me on some level. 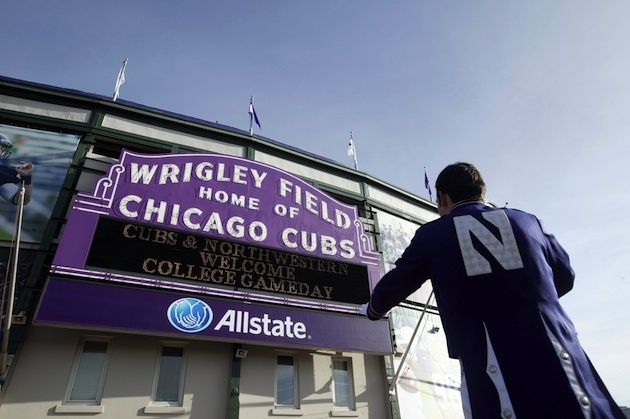 Northwestern, like all the other top schools, prides itself on its diversity. And diversity is exactly what I–and a lot of the others in my class–desperately needed to have. Over the first 18 years of my life, I knew my little slice of Springfield, Illinois quite well, but I knew nothing beyond it. I had never met a New Yorker before, or a Texan, or anyone from Cleveland, or Minneapolis, or Chicago. And I got to meet all of these people and more in the time I was on campus. 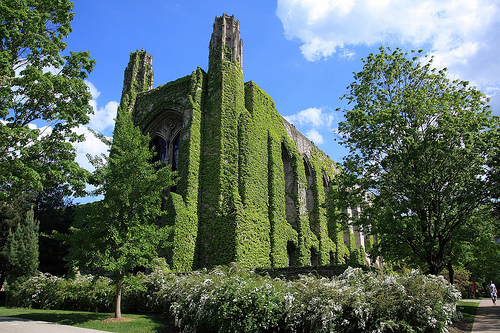 I once wondered a great deal about the world beyond my hometown, and four years as an undergraduate at Northwestern exposed me to people and ideas I had never encountered before. And it sounds trite, but it made me a better person. 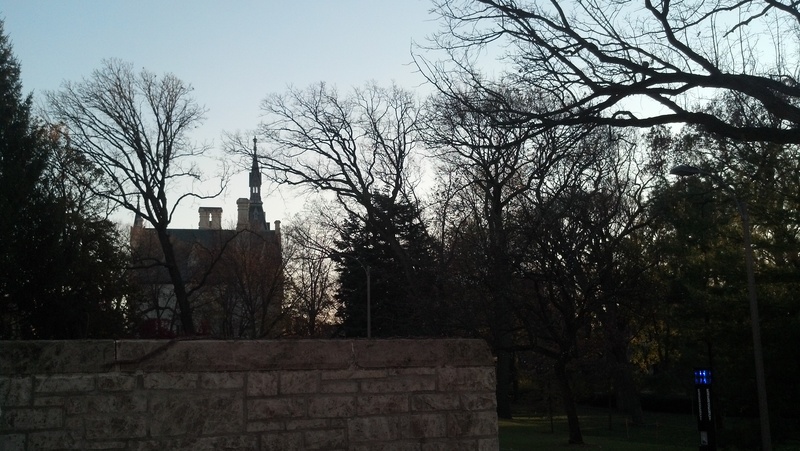 I’ll be forever grateful to have had the experiences I did while on the Evanston campus. The Vermont thing made me curious as to how many of my classmates (there were over 1,000 in all) came from Vermont. So I started with the As, and began paging through, looking for anyone who came from Vermont. Along the way I encountered old roommates, and people who lived in my dorm, and girls I had crushes on and could never talk to, and people I would know from classes or activities on campus. It felt as though I had time-warped back to 1986 for an hour or so. As I moved through the alphabet, page by page, I knew that I was going to get to my own entry, in about the middle of the book. I even gave some thought to giving up, rather than come face to face with the guy I used to be. But I was committed to seeing my research through, and I stopped long enough to consider what got me to the point that I was in the facebook to begin with. At that moment, I realized that I never applied myself to studying as much as I should have, and yet I did fairly well, and I uncorked an admissions essay that must have made an impression on someone who read it. I like to think I wrote my way into a top-notch university, and then wrote well enough to hang around until I graduated four years later. And nobody can ever take that away from me, either. I finished up with the book, after much contemplation and reflection about the fleeting nature of the college years. It was an important time when I transitioned to adulthood and went out to face the world, and all of my classmates did the same thing. And I felt exceedingly fortunate to be the one looking for a deceased classmate, instead of having someone else looking for me. I hope that she (and I’m refraining from using her name, to respect her privacy) had a good life, filled with things that made her happy. I wished that for everyone I encountered in the book, whether I knew them or not. I’m sure there are some others who are no longer with us, and that our ranks will only get thinner as the years go by. As Kurt Vonnegut wrote in “Slaughterhouse-Five,” and so it goes. And to answer the question that drew me in to begin with, there were two of my classmates who hailed from Vermont. On the other end of the spectrum, I’m sure there were homerooms at New Trier that had more representation in my class than the state of Vermont did. But Northwestern could say, truthfully, that Vermont was indeed represented in its Freshman class that year. How well-represented is another story. But they had more Vermonters (if that’s the right term) than any other school I would have gone to, and that made the exercise seem worthwhile for me. September brings the return of football season. Baseball had the sporting world to itself in July and August (with the exception of the Olympics and a few sports that not too many people care about), but those days are gone now. Yesterday was September 1, and football season began with college games. The NFL, which I stopped caring about in the late 1980s, starts play next weekend. But for now, there’s football in the air, for the first time since the end of the Super Bowl many months ago. 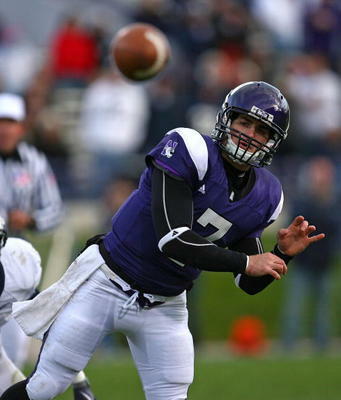 The only college team I can get worked up over is my alma mater, the Northwestern Wildcats. When I was at school there in the late 1980s, they were as terrible as a football team could be. The marshmallow fights that raged in the student section during the games were more interesting than anything on the field. Jangling your keys during a kickoff (and there were many of them during a typical game) was a chance to participate in the action in some small way. And I can’t remember which team’s fans started laughing at our team’s ineptitude after running a long touchdown play, but it really doesn’t matter which one it was. Hearing their laughter in the first place was bad enough. In the four years that I was an undergraduate, the football team won eight games. Eight wins is a disappointing year for some football teams, but that’s all I got to see in four years. Two of those wins came against Illinois, so it’s not all bad, I suppose. Things have improved dramatically since then, starting in 1995. Pat Fitzgerald will be around as the coach for many years to come, and he’ll keep the football program moving in a direction that’s both competitive on the field and successful in the classroom. He’ll make sure that the “student” part of student-athlete comes first, as it should be. So playing, and winning, a road game against Syracuse yesterday was the best start to a season that can be anticipated. It was apparently an exciting, even thrilling, game to watch, but I was out with my family and have to learn about it through second-hand accounts in the news. Win or lose, I’m proud to be affiliated with a school that does it the right way in college football. Now bring on Vanderbilt! 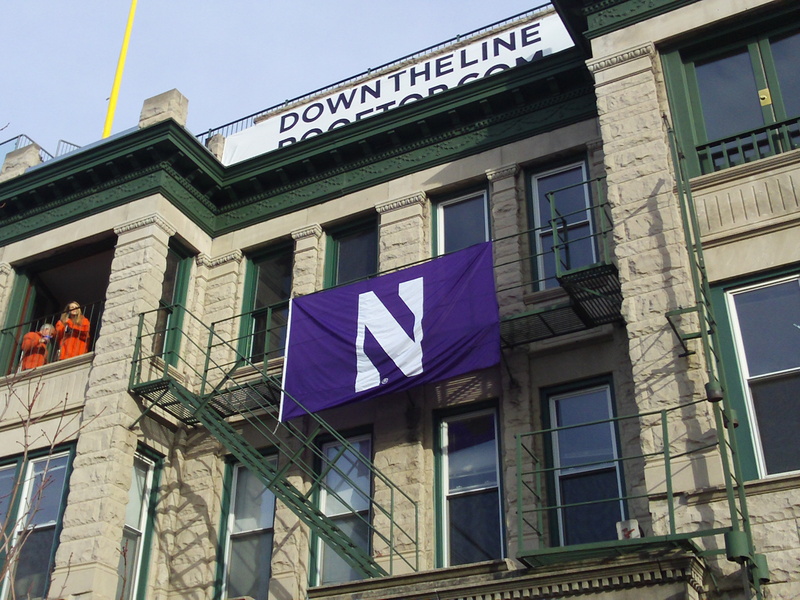 As a Northwestern alum, sports are not always a happy topic of conversation. Yes, the football team is a long way from the days of marshmallow fights in the stands. 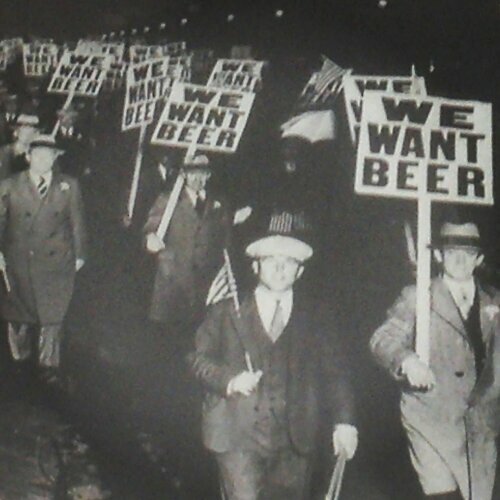 That, and tailgating, used to be the only thing to look forward to on a Saturday afternoon when I went to school there. But they can’t quite get over the hump when it comes to winning a bowl game. It’s great to play in bowl games in the first place, but the annual losing of a game to start the new year off is tiresome. And the basketball team, well, let’s say if you can’t get to the NCAA tournament after having two very good four-year starters (Michael “Juice” Thompson and John Shurna), it’s not looking good for the near future. Every year they win a game against a ranked opponent, and get the conversation going about whether this will finally be THE YEAR, and every year there’s a flameout in the Big Ten tournament, followed by an NIT berth, and sometimes not even that. That, too, is getting to be very old now. 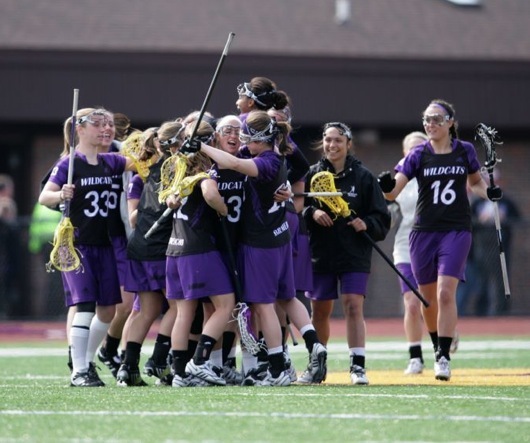 But what’s not old is the success of the women’s lacrosse team. They’ve won six national championships in the last seven years, and are going for their seventh title in eight years tonight. (UPDATE: They won. It’s now seven titles in eight years). If winning is important, I suggest this is a better place to focus attention than football or basketball. To be better than every other team in college athletics, in any sport, is a tremendous feat. There are many more schools playing the games than there are championships to be had. So why does Kentucky and their One-year-and-then-off-to-the-NBA basketball team deserve so much attention? Or the Whichever-school-from-the-SEC-wins-this-year football champions mean more than all the others? Colleges weren’t meant to be a developmental league for the NFL, the NBA, or any other sport. So why have they become that, over the years? It’s only because we have allowed it to be such. I’m not a lacrosse fan, in the least. But I’m happy that, whenever someone wants to hold out athletic success as a gauge of a college’s worth, that I can point to a program that hasn’t just won over the past few years, but has dominated their sport to a degree that few others have ever done before. So I wish the best to the Wildcats’ lacrosse team as they take on Syracuse for the national title this evening. Win or lose, they’ve already represented my alma mater quite well to the sporting world, or at least the part that cares to look in that direction. The first of my mini blue helmets goes to reader Chris, who indicated that he wanted to hear a story about Ryne Sandberg. He didn’t say that in so many words, actually. He just gave me Sandberg’s name, and I’m taking it from there. You might think that there’s not a lot that can be written about Ryne Sandberg that hasn’t already been said–he’s a Hall of Famer, with his name and number on a flag hanging from a foul pole at Wrigley Field, and soon to be the Cubs’ new manager (I hope, I hope). I’ll let better writers than I am go on about those. But here’s a story that has never, ever been told about Ryne Sandberg, and will never be told again. So get comfortable as I take you back in time for a little bit. It was the spring of 1988. Wrigley Field was still the only ballpark that didn’t have lights (but that would change in a couple of months). 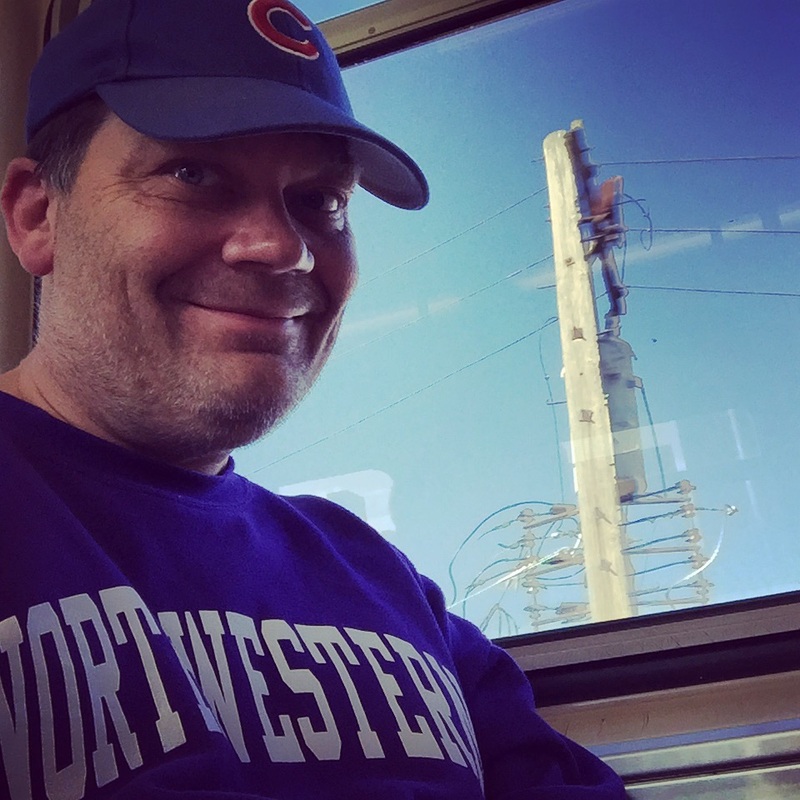 I was a sophomore at Northwestern, and my class schedule had been carefully chosen so that my afternoons were free and clear. I think the content of a class, or the professor who taught it, was secondary in those days to when the class actually met. If only we could always pick the schedule that we want. The el that was a block or two from the campus, and was always ready to take me into the city of Chicago. It’s a large, vibrant, and diverse city, and one day it would become my home. But at that time in my life, the city for me consisted of the general vicinity of the corner of Sheffield and Waveland Avenues on the North side. And that’s where I was headed on a sunny Friday afternoon. I usually sat in the bleachers, because the tickets cost less than 10 dollars, but on this day I was sitting on the first base side of the grandstand. I went with some people from my dorm who hadn’t been to Wrigley Field before, and I was showing them how easy it was to get there. I was being a tour guide, of sorts. Taking them to attend services at an urban cathedral! Yeah, that’s the ticket! What I remember the most about this game was that it was the first time I ever noticed Wrigley Field doesn’t have a jumbotron. It didn’t have one then, and it doesn’t have one now. I’d like to see that change, but the matter isn’t really up to me, either. At some point during the game, I went to get some hot dogs or whatever else there was at the concession stand (I wasn’t yet 21, and didn’t feel confident enough to try getting beers at the concession stand. They card hard, you know). As I was walking up the stairs to my seat, I heard a loud roar. I came up the steps in time to see Ryne Sandberg crossing home plate. I sat down in my seat, distributed whatever food I had acquired, and lamented the fact that there was no replay at the ballpark. If you miss something, well, that’s just too bad. Pay closer attention next time. A lesson learned, I thought to myself. The next inning, I was engaged in a conversation with somebody about something when I heard a loud crack of the bat. We all got to our feet and watched the ball disappear into the bleachers, and I had missed my second home run of the game. Again, no replay for me or anybody else who wasn’t watching. But at least the runs still counted. The player who hit the second home run was a catcher named Jim Sundberg. I found it interesting that their last names were just one letter apart from each other. Sandberg and Sundberg. It sounded like a law firm or something. But they both hit homers for the Cubs, and that was enough to make me happy. Sandberg was a long-time Cub who got all but one of his career hits with the team, while Sundberg played just a handful of games over a season and a half with the Cubs. Sandberg was a National Leaguer for his entire career, while Sundberg played all but 85 games (in a career that lasted nearly 2000 games) in the American League. Sandberg won an MVP award in 1984, but not a World Series title, while Sundberg never won an MVP award but did win a World Series with Kansas City in 1985. These players have also taken different paths since their playing days ended. Ryne Sandberg has positioned himself as a future major league manager (hopefully for the Cubs), while Jim Sundberg works in the front office of the Texas Rangers, where he spent most of his career. Although the two players had similar last names, they didn’t have too much else in common with each other, save for the fact that they both homered in a game at Wrigley Field in 1988, and I managed to miss out on seeing both of them. But at least I got a story to tell out of it. And I would suggest that’s better than seeing two home runs, anyway. I live in a part of Chicago that has a large Orthodox Jewish population. This means that every Saturday (or shabbos), there are Orthodox families walking to or from their religious services. And the most distinctive element of their dress, as far as the men are concerned, is the hat that they wear on their heads. A hat can top off your look, and tell the world something about who you are. I named my blog after a form of a hat, but I don’t actually wear it because it does funny things to my hair. Since I’m lucky enough to have all my hair still in place, a hat can provide cover on the days when it’s just doing its own thing. I wear baseball hats a lot, either for the Cubs, or Northwestern, or Jack Daniel’s (which has taken on an ironic twist since I gave up drinking), and I find the backward look suits me just as well as the more traditional look. 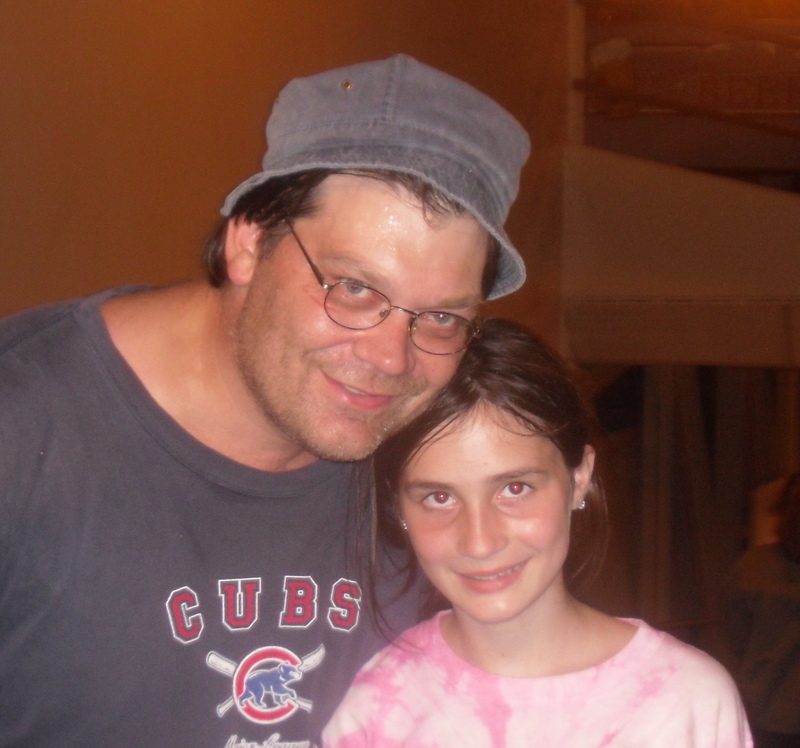 But the hat I like best, and the reason I’m writing this post, is the Cubs floppy hat that I’m wearing right now. A floppy hat makes a statement, in its own way. People might see it and wonder if I’m heading off to a beach somewhere. Even though it’s a warm, sunny day here in Chicago, the beach is not on the agenda. But the beach mentality will be, and so the hat is still appropriate. Life is short, and the best way to find enjoyment is to go to a happy place. Get there physically, or get there emotionally, and you’ll be much better off for it. You have to appreciate nature for the beauty and continuity it provides, but also understand that every wave is temporary and fleeting. Every wave washes shells ashore, which are proof that life comes and goes and, if you’re lucky, you will leave a little something behind when you’re gone. The day won’t last for very long, but as long as you’re at the beach you can either find a spot you like and set down roots, or keep moving around to see how the view changes. Beach toys, like all material possessions, can add something to the enjoyment (if you have kids along), but they aren’t so important that leaving something behind would be a disaster. Leaving the beach doesn’t make any of these statements less true. So I often wear a hat that’s probably meant to be worn at the beach–even when I have no intention of going there–because it helps to keep me in the right frame of mind. If I have any religious convictions at all, they’re all laid out in the statements above. As stupid as it sounds, my hat honors these beliefs, just as the Orthodox wear a hat to honor their beliefs.